It's Thursday! I can't wait to hear all about your Little Things from the past week! 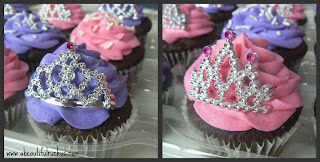 I had the privilege of baking some cupcakes for the first birthday of a set of twin girls. It was a "Twincess" Princess Party. I think the cupcakes turned out adorably, and now I'm hoping I get an excuse to make them for my own girls someday! Abby and I were snuggling this afternoon after she woke up from her nap. We were watching Numberland and she started babbling with the show as they were counting, Then clear as day, she said, "six, seven, eight." Wait, what? She just talked AND counted?! And then she did it again! She counted from 1-10, with six, seven,and eight being clearly understood. It was obvious that she knew all of the numbers. It probably doesn't seem significant, but she talked AND counted. That is a big deal for my speech delayed kids! I've been impressed with the educational nature of the LeapFrog videos, but I'm now officially sold! The KC Star Newspaper contacted us and asked if they could write a story on the kids for their 2nd birthday. They've been keeping up with us since we were pregnant, so it was totally fun to hear from them again! 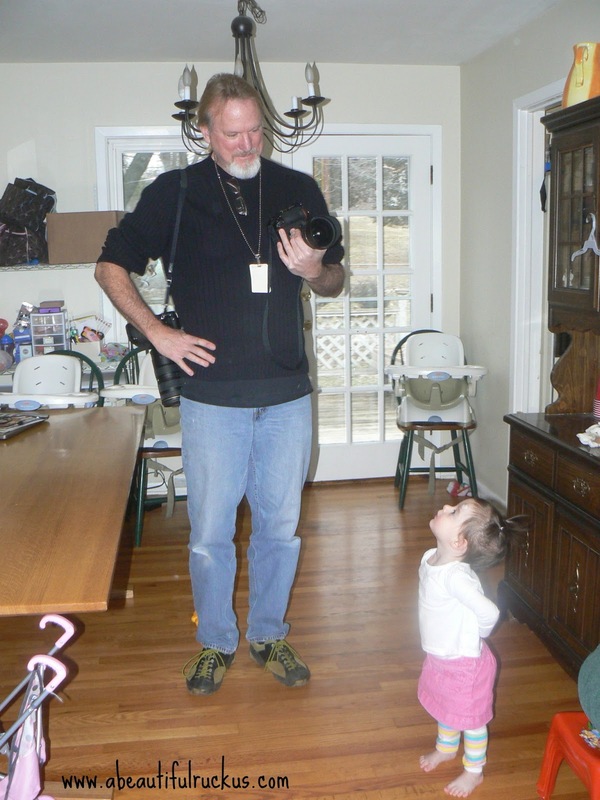 As part of their large spread in the FYI section, they sent out a staff photographer to take some shots of the kids. Ellie was completely enchanted with the photographer. It was adorable! Hehe! And if you like this sort of thing, make sure you pick up a copy of the KC Star on Saturday! Last count I heard, we have had 10-12 inches of snow fall today. I took hourly photos of the snow build up. It was incredible how quickly it came down and really very pretty since I didn't have to leave the house. The kids thought it was so neat! As Ellie said as soon as she saw it, "Mama! Isha aguba mashe argabos shuckma!" It was pretty hilarious how adamant she was about whatever she was trying to tell me. We are huge fans of Leap Frog's Phonics Farm in our house. SweetPea knows almost all of her letters and sounds they make. Great programming! They are really good! Some of the most educational shows that we've found! I love that Leap Frog helped Abby with her language! I will keep that in my back pocket for the future. As a school psychologist, I am fully aware that my kiddos will likely have language delays and I just hate that for them. :/ I will do anything to help boost language development. I didn't realize that you are a school psychologist! Very cool! Yeah, preemie multiples kids have some language struggles, but I know your kids will thrive with you as their mom!